Similar to 2012, the Mariners will play their first two regular season games against the Oakland A's at the Tokyo Dome. PEORIA, Ariz. — The Mariners won’t just open the 2019 baseball season on the road, but on a different continent. Per a report from the San Francisco Chronicle, Major League Baseball has selected the Mariners and the Oakland A’s to open next season in Tokyo, Japan. 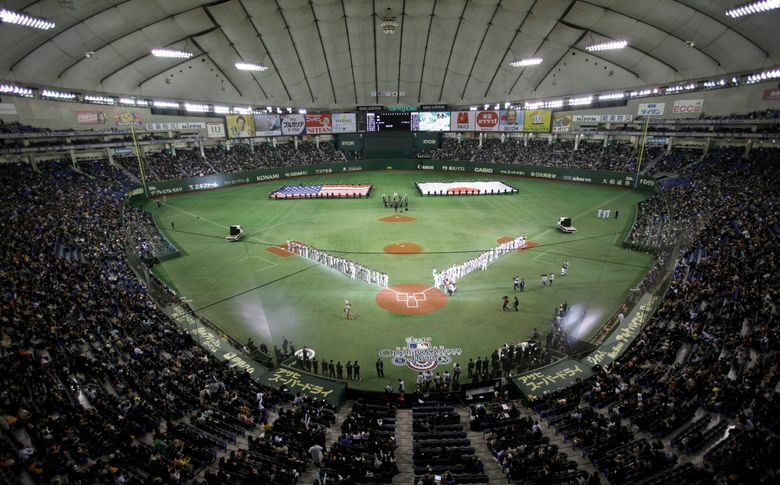 The American League West rivals will play two games at the Tokyo Dome before returning to the states. Mariners officials wouldn’t officially confirm the report, saying it’s a decision and announcement made by MLB. This will be the second time the two teams have started a season in Japan. In 2012, they played a pair of games on March 28-29 in the Tokyo Dome. In a weird scheduling twist, they each won a game and then returned to Arizona and participated in Cactus League games before resuming the season. There is no word if that schedule will be similar or if there will be other changes made to accommodate for the lengthy overseas travel.